NORMS has been keeping it fresh since day one. With a buttermilk hotcake recipe dating back to 1949, we stick to recipes that combine freshness with flavor. From steaks that are hand-cut in our kitchen to scratch-made salad dressings and soups, you get fresh when you come to NORMS. *Please note, copied gift card codes will not be accepted at any Norms location. 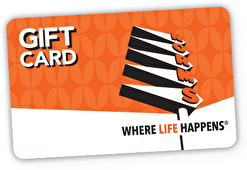 Gift Card holder must present original gift card in physical or email format. 807 S. Indian Hill Blvd. For balance inquiries call the phone number to a Norms Restaurants' location below.